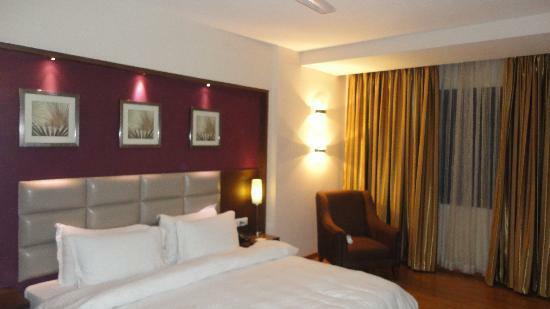 Lords Plaza Surat offering 3 star luxury accommodations. Whether on business or holiday, travellers have a wide range of services to choose from here. There are many modern facilities at Lords Plaza, including travel desk, safety deposit lockers, babysitting services, disabled facility, taxi services, doctor on call, gymnasium, currency exchange, laundry service, and a swimming pool (along with a kid's pool). There is an in-house casino here as well. Lords Plaza 108 well-designed and elegantly appointed rooms, split into Superior rooms and Suites. 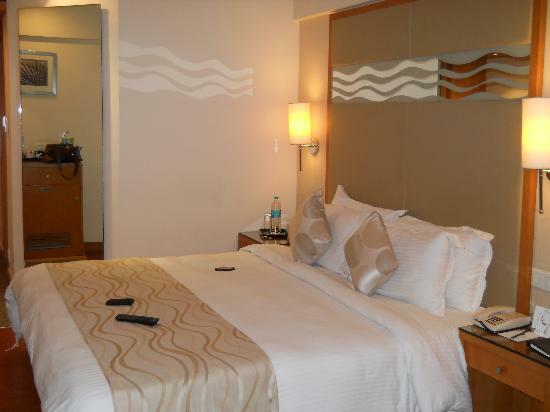 In-room amenities include Wi-Fi Internet, snack basket, satellite television, tea/coffee maker, mini refrigerator, and a telephone with STD/ISD dialling facility. Music facility is also available here. The attached washrooms have a bath tub with hot and cold water facility. Services : 24-hour front desk , 24-hours Room Service , Business Center , Airport Transfers , Baby Siting , Coffee Shop, Concerige , Currency Exchange , Laundry Service , newspaper, restaurant , smoking area , tours .